The Interreg MED Sustainable Tourism community held its mid-term conference ‘Re-Connecting Tourism’ in Rome on 29-30 May. 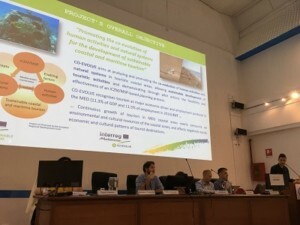 Organised by the BleuTourMed horizontal project on Sustainable Tourism – which involves key CPMR Intermediterranean Commission (IMC) partner networks i.e. Arco Latino, UNIMED, Plan Bleu – the mid-term conference brought together representatives from all projects from the community, including several IMC members. These projects include CO-EVOLVE, MITOMED+ and HERIT-DATA, which involve the IMC. The conference was organised 18 months after the first 14 projects of the community were launched. Its main aim was to reach out to and engage policy makers and stakeholders of the Mediterranean tourism sector as well as to strengthen ties amongst the community’s projects. The three new projects approved under the second call for proposals, namely HERIT-DATA, INHERIT and COASTING, officially joined the community and signed the Declaration of Intent of the Interreg MED Community on Sustainable Tourism, also known as the Athens Declaration. The event began with thematic workshops aimed to modular projects and addressed integrated strategies of territorial level. This provided the opportunity for projects to discuss their views on a variety of challenges, including social well-being, carrying capacity, tourism sustainability monitoring, and capacity building/stakeholders’ engagement. The rest of the conference was dedicated to thematic panels related to the promotion of evidence-based policies for sustainable development. These panels brought together representatives from projects from the community, policy and decision makers, as well as tourism stakeholders. The aim was to present the main results of the projects’ works, put forward recommendations and confront policymakers. 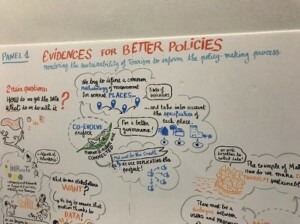 The IMC took part in panel one ‘evidence for better policies mobility on tourism to inform the policy makers process’ on behalf of the CO-EVOLVE project. They presented CO-EVOLVE’s main results, particularly the Tourism Sustainability Toolkit, and highlighted synergies and complementarities with key projects and initiatives such as MITOMED+, MEDCOAST4BG, the EU West Med maritime initiative and BLUEMED. Among the issues highlighted was the need for projects to translate data into key messages to better influence policy making, as well as the added value of the Interreg MED PANORAMED project’s model of governance, which gathers key Euromed actors active in the field of sustainable tourism. During the event, the CO-EVOLVE and MITOMED+ projects also had the chance to meet and exchange on future collaboration and possible joint actions, at the initiative of the IMC. A Memorandum of Understanding between the two projects, to set the main features of the collaboration and common commitments will be signed soon. 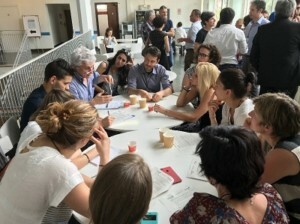 The BleuTourMed team is now drafting a capitalisation plan that will be disseminated among the community’s projects for feedback in June, and then officially approved after summer, most probably during the next event of the community (capitalisation workshop), to take place in Marseille in autumn. All working documents, including speakers’ presentation, will be available soon on the community’s website.